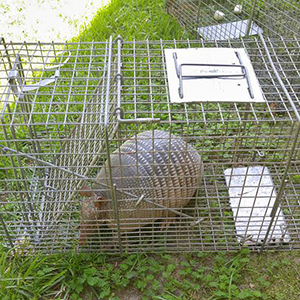 Williams Wildlife Removal is a trusted provider of animal trapping services in the Charleston area. Our locally owned and operated business is licensed and insured, and our expert team of trappers understands the habits of local wildlife. We’re a member of the National Wildlife Control Operators Association and have received both the Best of Thumbtack Award for 2016 and the Angie’s Super Service Award. Regardless of the size or severity of your infestation, our crew has the tools and experience to assist. We can identify the source of your problem and trap the unwanted pest in a manner that minimizes the threat of personal injury or property damage. Once your home or business is secure, we’ll carefully analyze the situation and undertake preventive measures to reduce the risk of future recurrences. Our owner is always on-site to help with any concerns you may have.